A leader in manufactured packaging, with divisions in paper, plastics, packaging and recycling, operating in more than 30 countries, commissioned Flegg Projects to install a specialised packaging production machine, the ‘first of its kind’ in the UK, at their premises. 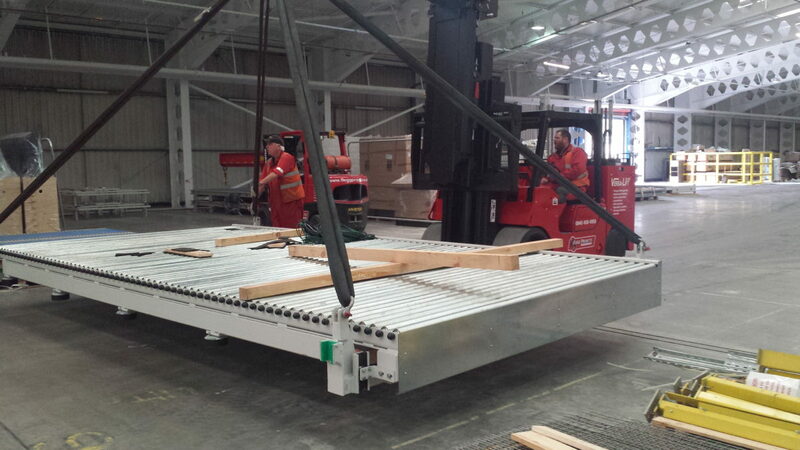 The installation, which involved a lift of 22,000kgs, had to be implemented whilst the factory was in full production. 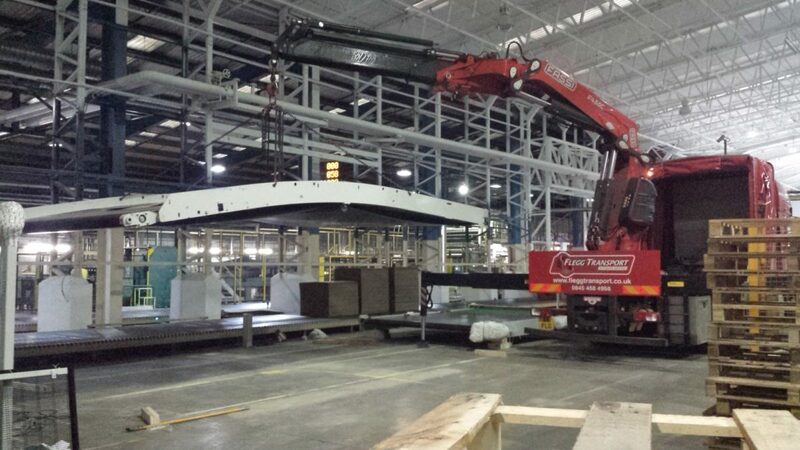 Following the planning phase, Flegg Projects used their considerable expertise and knowledge to offload and unpack equipment from third party vehicles and provide engineering support to the machine supplier to assist with the mechanical assembly. 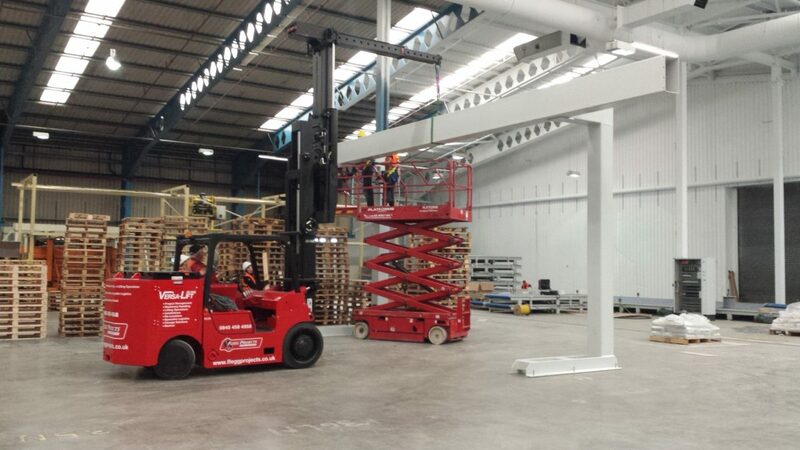 An array of moving and lifting equipment was deployed by the team including versalifts, vehicle-mounted cranes, counterbalance forklifts and MEWPS. This project was a complex undertaking as the factory had to remain fully operational throughout the implementation and involved several onsite contractors, across a range of disciplines. It was delivered in phases over a duration of six months, so required constant communication between Flegg’s project management team and the client’s management team to ensure that working patterns and key timeline targets set out in the plan were achieved. 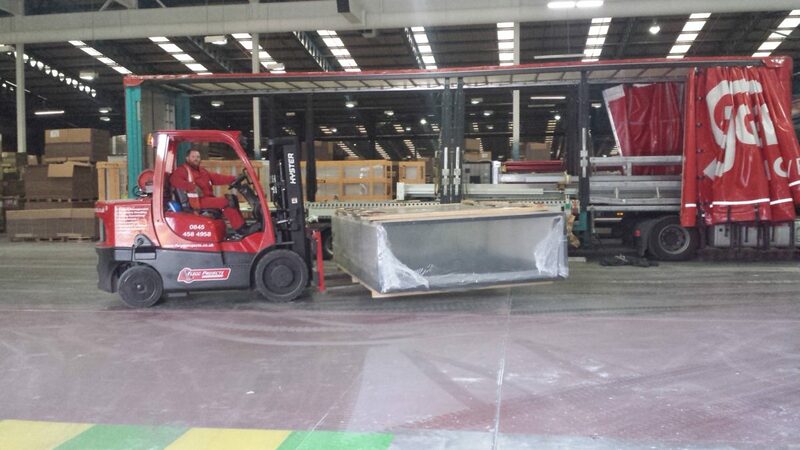 Maintaining the factory’s productivity levels whilst delivering a safe implementation meant that the client was delighted with Flegg Projects’ performance.